An easy to make meal the family will love! This is a favorite in our house. The kids always ask for seconds. It doesn’t get any easier then us! 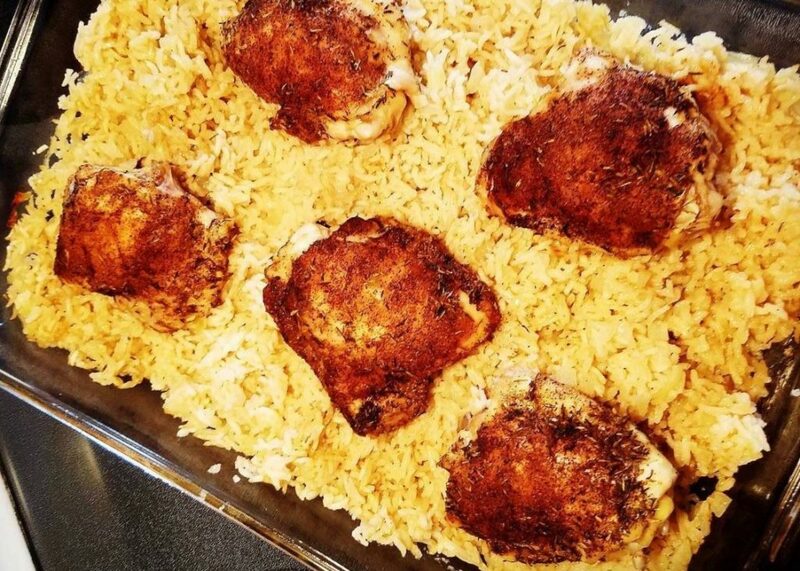 This will be one of your best go to recipes for chicken! Turns out delicious every time! Thanks to Amanda Stortz for this yummy recipe! place onion and garlic in a baking dish (about 10 x 15" / 25 x 35 cm), then place butter in the centre. Bake for 15 minutes (check at 12 minutes, mix if some bits are browning too much). Mix together Chicken Rub. Sprinkle on both sides of the chicken. Remove baking dish from the oven. Add rice and mix together. Cover with foil, then bake for 35 minutes. Remove foil then bake for a further 15 minutes. Let it stand for a few minutes, then remove chicken and fluff up rice. Serve and enjoy!